We all know who dominates the football galaxy right now: the likes of Neymar, Cristiano Ronaldo, Lionel Messi and Paul Pogba. But who's leading the next generation? Drawing inspiration from the upcoming "Star Wars: The Last Jedi," we used the Force to select the best young players primed to rule the sport in a few years' time, if not sooner. 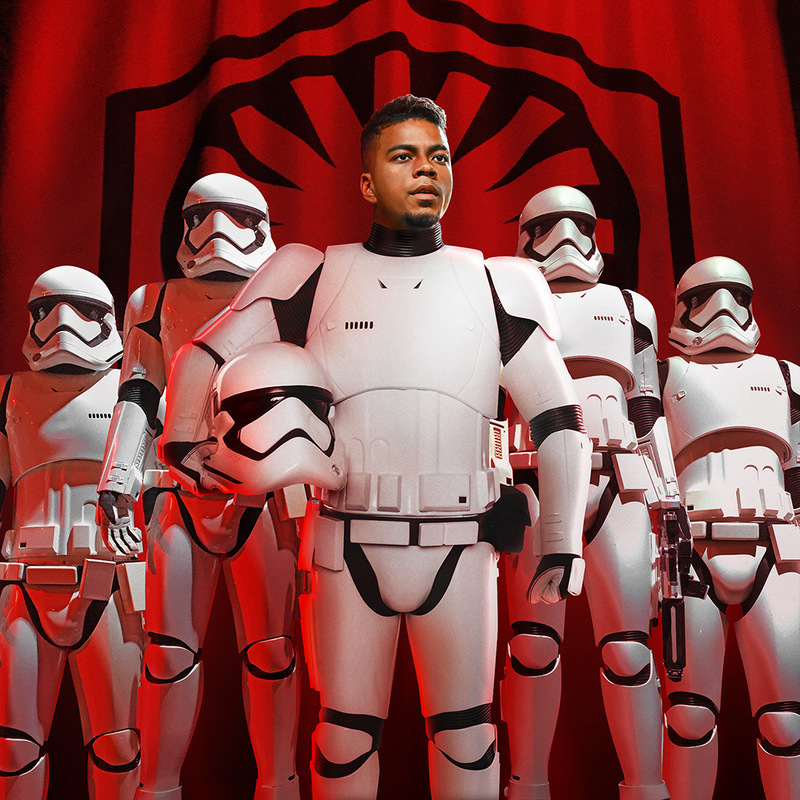 We give you: the ESPN FC / Star Wars under-21 starting XI. At 20, you'd expect Gabriel Jesus to be a lightweight nuisance at Manchester City. Instead, the striker is a fearless, aggressive bundle of energy similar to Kylo Ren. And the parallels don't end there: Jesus plays football at a club much like the First Order, given their deep coffers and ambitious plans to dominate the galaxy. You'd have expected Jesus to leave Brazil and find a traditional halfway house of, say, Portugal or the Eredivisie, but he went straight to City, slotting seamlessly into Pep Guardiola's high-energy, multipurpose think tank of an attacking unit. With the ball, Jesus has been efficient and ruthless. Without it, he's much the same. Jesus isn't just the future -- he's the here and now. The U.S. are the biggest footballing nation never to have produced an era-defining individual talent in the men's game. But the search for a galaxy-inspiring Jedi Knight in the mold of Luke Skywalker might be over. Christian Pulisic's complicated move to Borussia Dortmund at 16 was, in his words, to experience an "intensity and humility" that he felt the U.S. developmental system could not provide. It was a perfect marriage: an intelligent, gifted, driven teenager taken under the wing of a club who know how to treat their young talent. 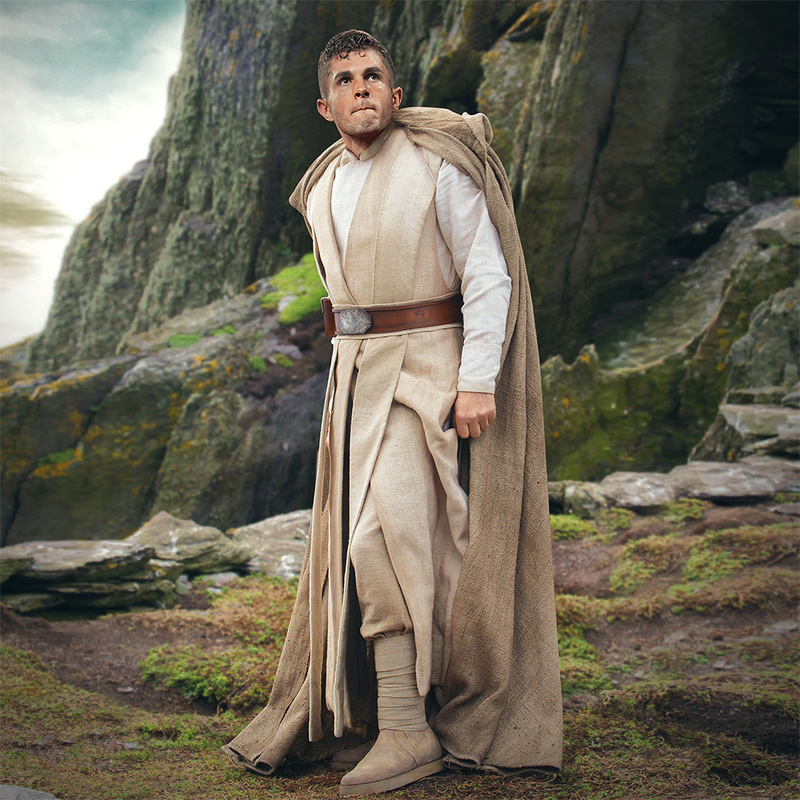 Now, much like Skywalker's journey, Pulisic faces a hard road of pressure and potentially crushing expectations -- at a time when U.S. soccer's need for a talisman has never been more urgent, no less. Can Pulisic help the Americans get back to the World Cup in 2022? This much we know: the Force is strong with him. The emphasis with young forwards is often about pace, dribbling and trickery. Marco Asensio has all of those skills, but that's not why he's caught our eye. 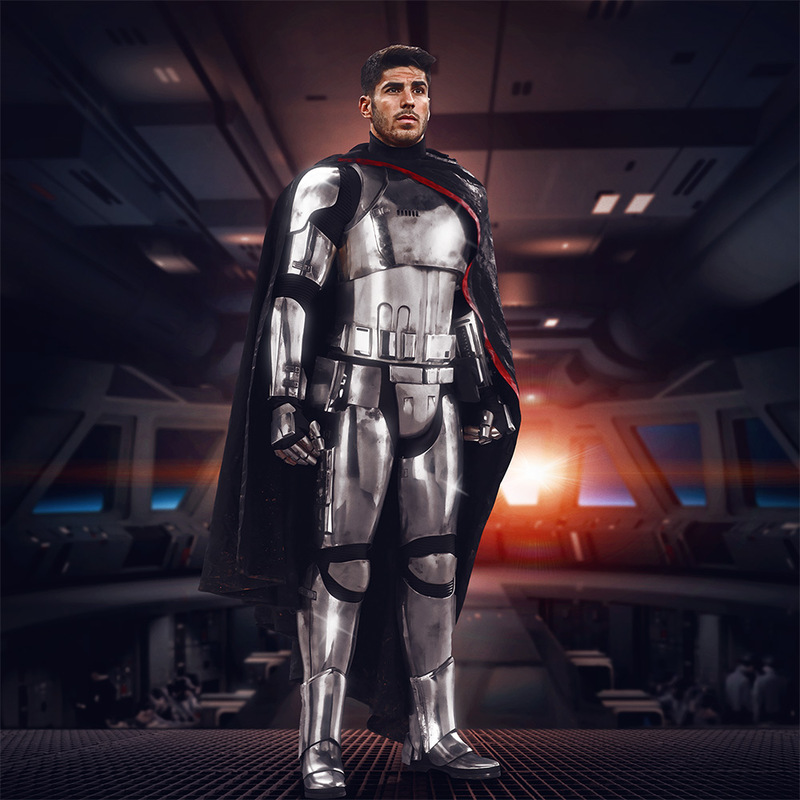 The Real Madrid player has all the makings to become football's equivalent of Captain Phasma, commander of the First Order stormtroopers who is all about taking a direct route to problem-solving. Asensio's season so far has been peppered with some of the crispest connections a young boot has ever made with a ball. Real Madrid's emphatic Spanish Super Cup win over Barcelona was crowned, home and away, by two thunderous Asensio strikes: the first a bullet into the top corner at the Nou Camp, and the second a 30-yard Exocet missile that Marc-Andre ter Stegen thought better about trying to stop. Dele Alli is the type of player who could rule the galaxy one day. 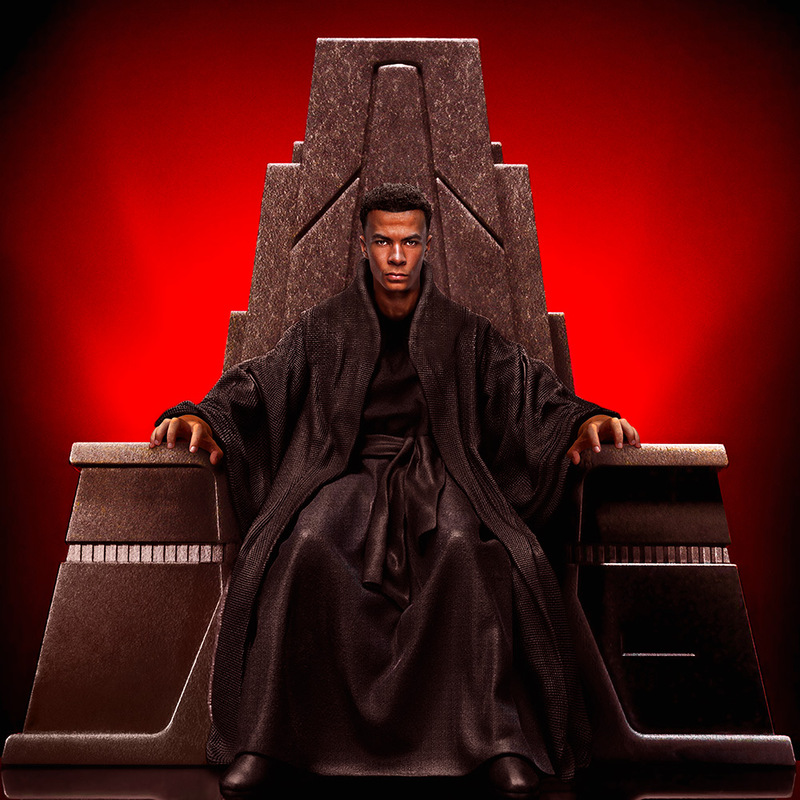 But will his cockiness send him down a path to becoming football's version of Supreme Leader Snoke? It takes some serious self-belief to make the jump from League One to the Premier League, let alone at 19, but that's one of the things that immediately strikes you about Alli: he's more about poise than power, ghosting in at the back post rather than hammering in from 30 yards. Even his on-field misdemeanours have a snide stealthiness about them. Such is Alli's innate capacity for Dark Side-style showmanship that, despite a recent dip in form, he still had it in him to nutmeg the referee in the north London derby. "Fearless" is a word brandished all too easily with young players, but there hasn't been a moment -- from MK Dons to becoming a first choice for England -- when it seemed that self-doubt had begun to creep into Alli's game. 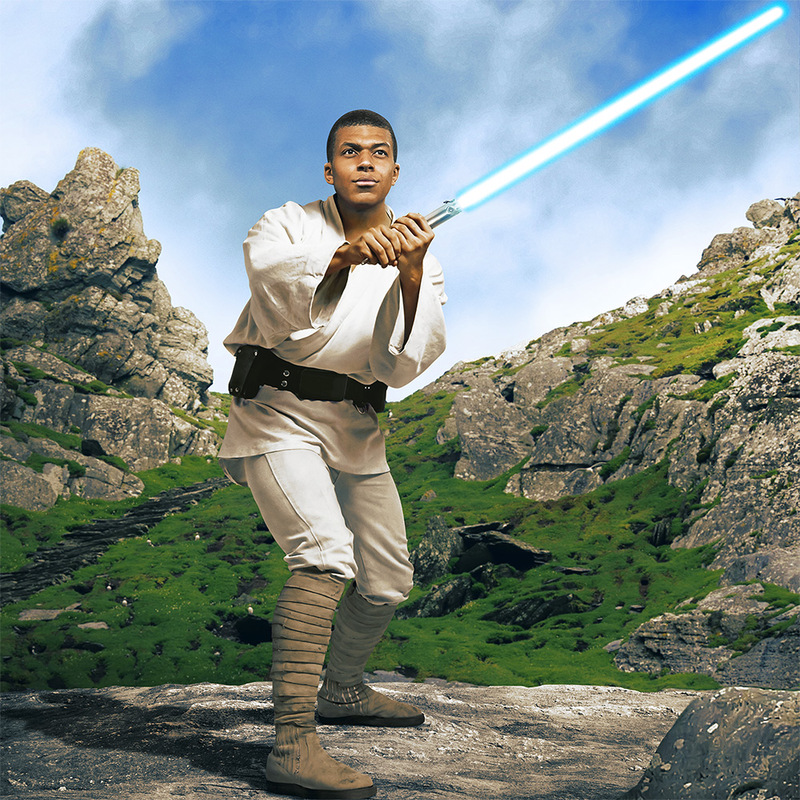 If there's one young player who looks capable of mastering the Force, just as Rey is trying to do in "The Last Jedi," it's Kylian Mbappe. Even in the accelerated reality of modern football, there might never again be a more transformative 18 months in the career of a teenager. That's all it took for Mbappe, from Monaco debut to Paris Saint-Germain committing €180 million for his services, to become the talk of the footballing galaxy. He'll still be just 19 at the 2018 World Cup, by which time there is a danger for taking his awesome repertoire for granted. Plenty of young attackers could match him for pace, but few if any others seem to be able to make time stand still when they see the whites of the goalkeeper's eyes. Gianluigi Buffon's 20-year Azzurri reign might have come to a heartbreaking conclusion as he missed out on the World Cup, but the rebuilding process will be founded on an astonishing talent, Gianluigi Donnarumma. The sheer scale of the man-in-progress -- his 6-foot-5 frame is akin to putting Chewbacca in goal -- is impossible to ignore, but somehow he looks even bigger when spreading himself to foil a one-on-one challenge or clawing a curling shot round one of his posts. A teenager of that size should be a tumbling, clumsy bag of nerves; instead, Donnarumma feels like the nearest to a sure thing as it gets. The 2022 World Cup can't come soon enough for him. A central midfielder converted to right-back -- the reverse Philipp Lahm -- Benjamin Henrichs has it all worked out, it seems. 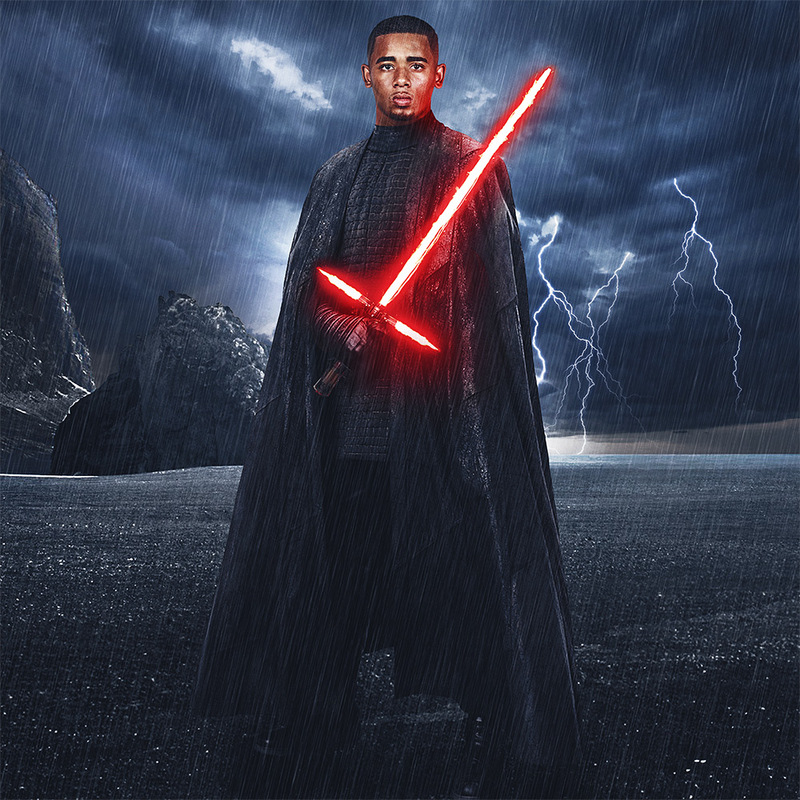 The attacking instincts of his youth have served him well as he develops into the most modern of full-backs: agile, inventive, tireless, dexterous ... in other words, built like the galaxy's ultimate fighting machines, stormtroopers, in both attack and defence. And Henrichs -- firmly on the radar of Bayern Munich -- looks likely to be another expensive demonstration of just how valuable full-backs have become in the modern game. 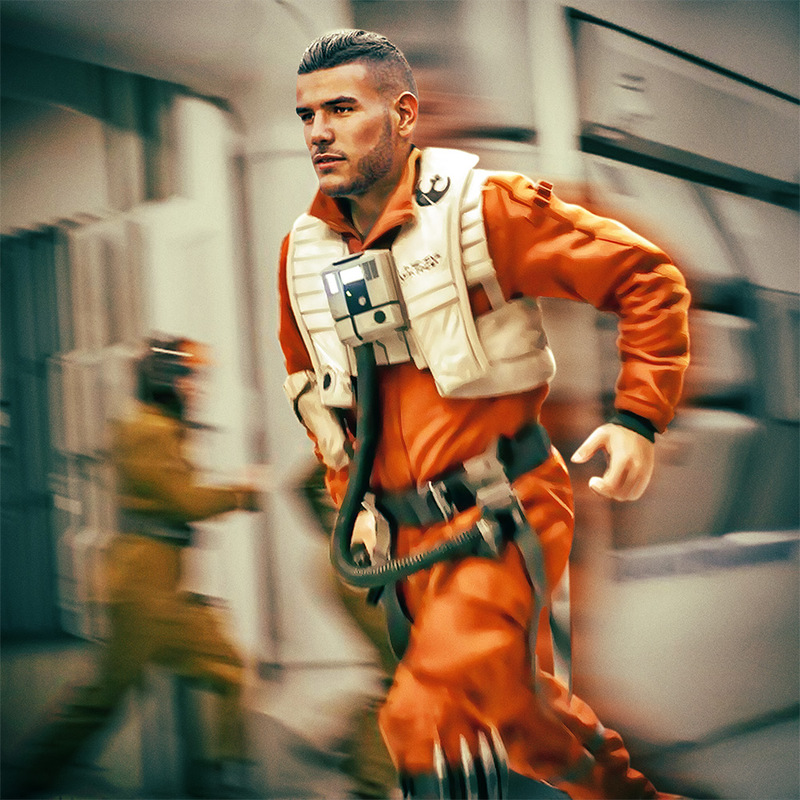 You have to be headstrong -- we mean really headstrong, like Poe, the decorated Resistance pilot -- to do what Theo Hernandez pulled off so early in his career. He started with Atletico Madrid, but, with his path to the first team blocked by Filipe Luis, Theo decided to eventually make the bold move (after a successful loan spell at Alaves) across town to rival Real Madrid for an initial €24m, ending the 17-year pact of transfer non-aggression between the Madrid clubs. Like Henrichs, Theo is another of the new towering breed of full-back, but his forward gallops are less about thunderous power and more about eating up the yards with his long stride. How he'll develop in the goldfish bowl of the Bernabeu remains to be seen, but the future is looking up. There's usually a significant trade-off when you describe a defender as "a good reader of the game," which is to say, someone who can plot and scheme and prepare but isn't going to be the one who barrages on the battlefield. 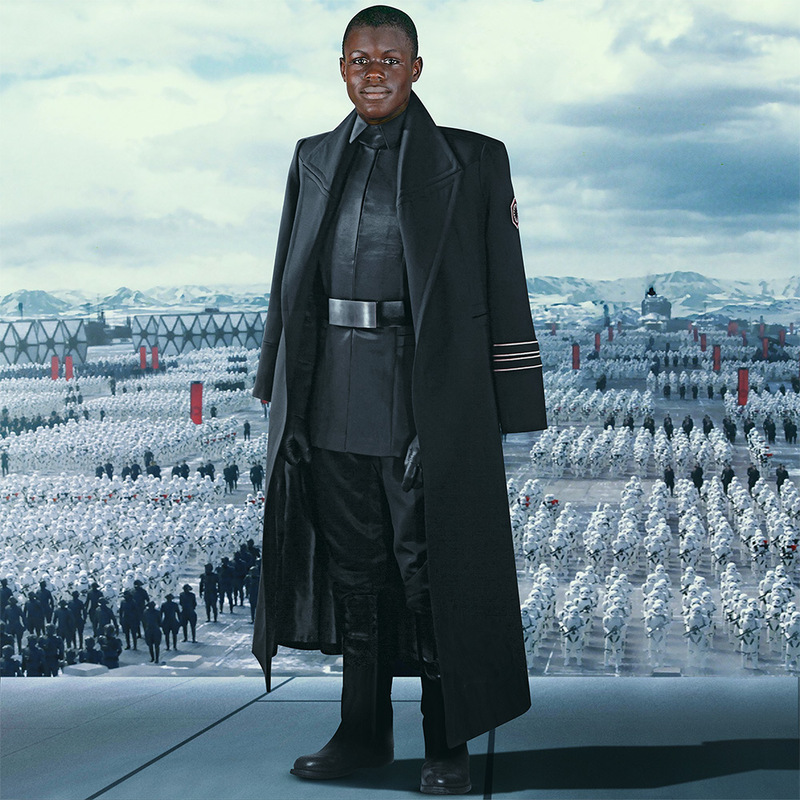 Fortunately for Nice's prodigious Malang Sarr, there isn't any compromise: consider him like a more adventurous General Hux who reads the game but also relishes entering the fray himself. Sarr marked his debut for a club he joined at the age of 5 by scoring the winner and then dedicating it to the victims of the Nice terror attack. How good is he? No defender in Ligue 1 averages more interceptions per match than Sarr, and, with the resurgence of three-man defences, his left foot could be his ticket to the big time. "There's just something about a really good tackle," Jonathan Tah wrote on The Players' Tribune. "I've always loved that feeling." 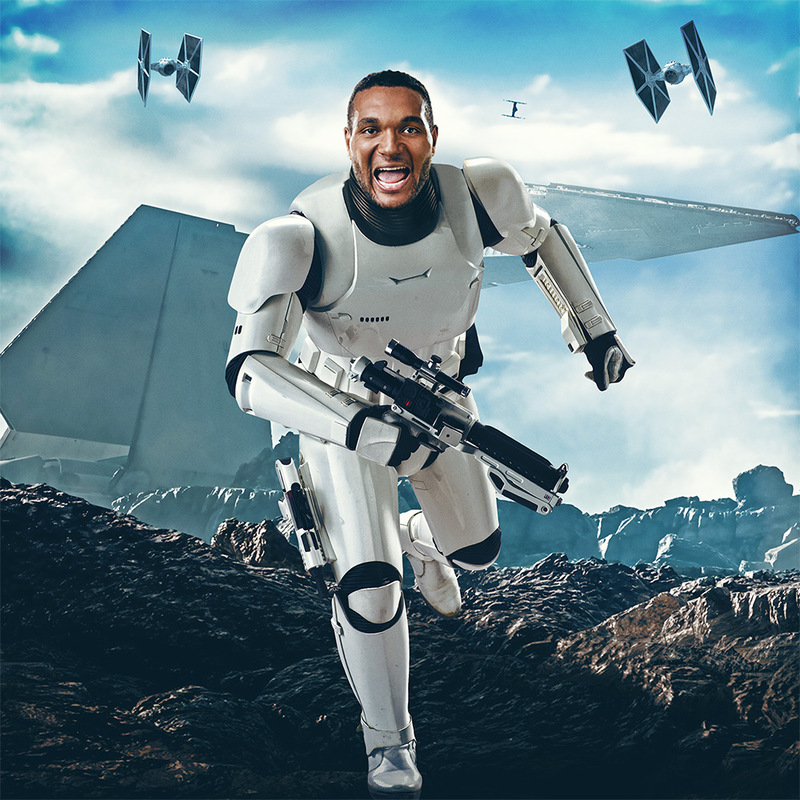 You'd imagine a First Order stormtrooper saying something like that if he played football. Having 6-4 Tah crashing into you is probably not one of the most pleasant Bundesliga experiences. His list of nicknames includes "Big Mike," "The Battleship" and "The Bear." But Tah also has finesse to go with physique. 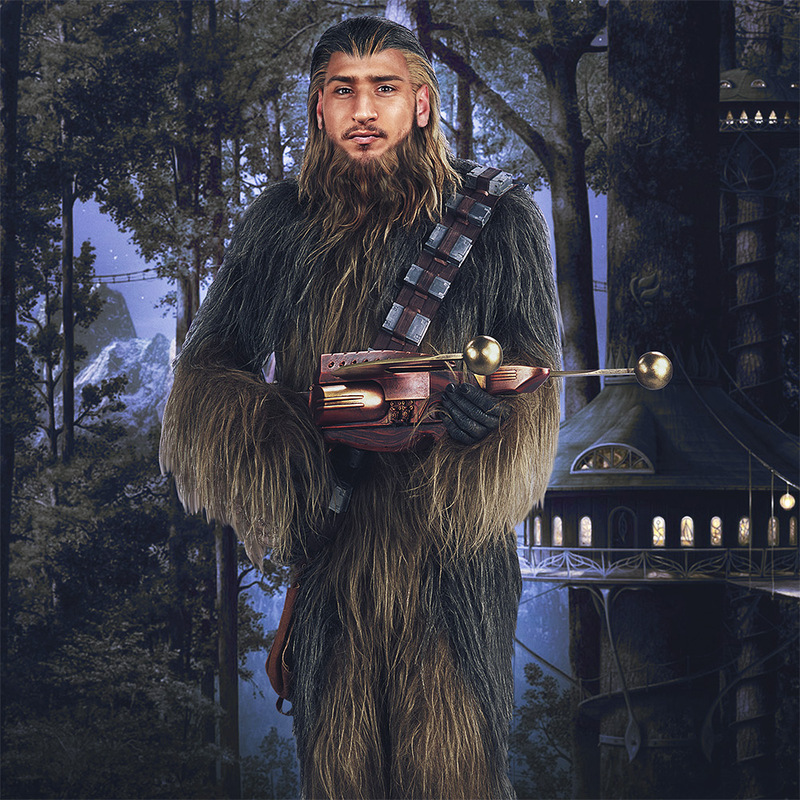 After making his Bundesliga debut at 17 for hometown club Hamburg, he has developed into a next-generation centre-half: as adept at playing his way out of trouble as he is at nullifying it. It all comes back to a childhood spent thwarting strikers on the bone-hard surface of a local playground: "Whenever I saw the opportunity to bring a striker down, I just couldn't help myself." 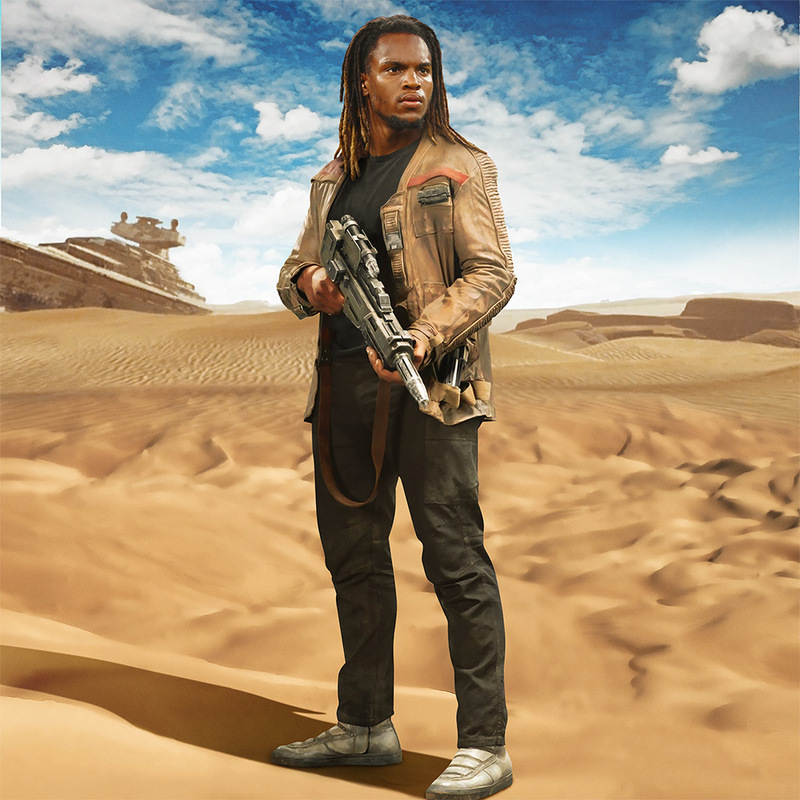 When we think Renato Sanches, we think Finn -- a breakout character who started down one path, only to find himself on a surprising journey, all the while feeling conflicted about his future. But put him in a fight and you'll see the best of him as his adrenaline takes over. It's been only two years since Sanches made his Benfica debut and barely a year since he was basking in the glory of being a European Championship winner and Young Player of the Tournament. Not to mention he signed for Bayern Munich in 2016 for €80m. But Sanches has struggled on loan in the Premier League to the point he'd probably like to forget this season so far. When he's on, however, Sanches has a frighteningly assertive presence, robust in the tackle and purposeful when bursting forward. No wonder he once compared himself to Clarence Seedorf, the deluxe master-of-all-trades midfielder.